The decision by number one iron-ore miner Vale, of Brazil, to halt 40‑million tonnes of production – equivalent to about one-tenth of its output – so that it can decommission tailings dams similar to the one that failed in January 2019, killing an estimated 300 people, will have major implications for the world’s iron-ore mining and steelmaking industries in the near term. Creamer Media’s Iron-Ore 2019 report provides an overview of the global iron-ore market currently, with particular emphasis on supply and demand, as well as trade and pricing. 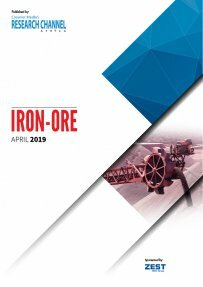 It also provides information on South Africa’s iron-ore market and its major producers, as well as an overview of the major global iron-ore producing companies and other significant producers. Published on: 12 April 2019.